performance, throughout its lifecycle, by getting the right information at the right moment. 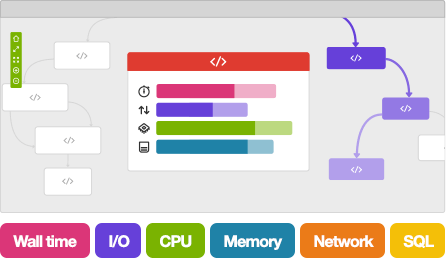 Blackfire.io helps you make sure you never let your app’s load times frustrate a user. You are able to thoroughly test your code according to your business logic. 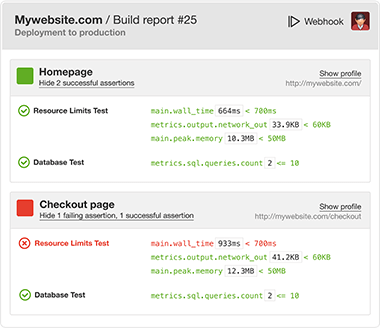 Automate testing and improve your app’s performance continuously, in all environments. Integrate performance management seamlessly in your existing workflows and tools. Your code is the first thing you should be looking at. Gather detailed performance metrics from your code’s execution, and visualize it in Blackfire.io interactive call graphs. Find bottlenecks in the blink of an eye and check the impact of your changes by comparing iterations in development, staging and production servers. 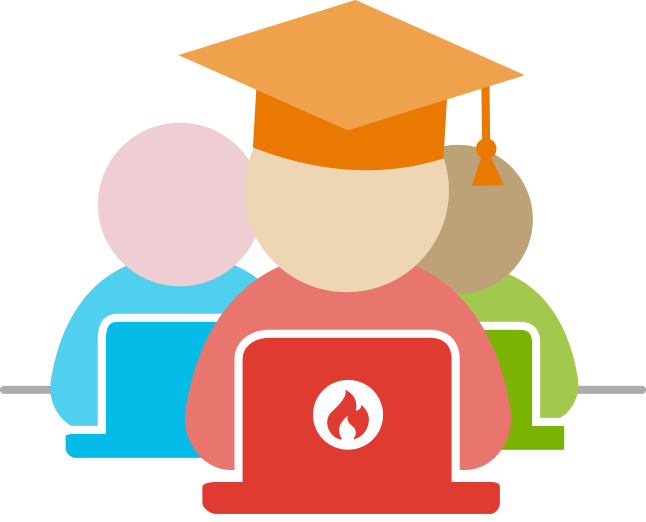 Blackfire Recommendations provide best practices teams can learn from our PHP performance experts. 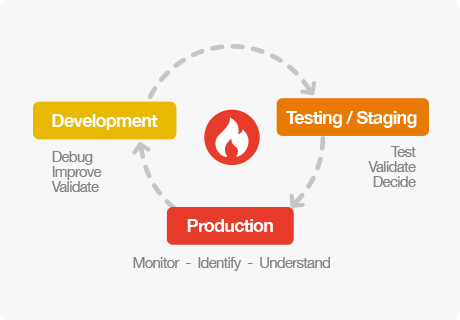 Integrated in any profiling or performance testing session, recommendations are prompted according to your framework and the environment you are profiling (development, test/staging, production). Fully documented, they tell your team what to improve at first and teach them how to avoid performance bottlenecks.